Classmates, with deep sorrow, we want to pass on the news of our Classmate, Skip Wiegand, and his wife, Margaret, on the loss of their son, Matthew, USNA ’06. Please keep the Wiegand’s and Matt’s wife, Katrina, in our prayers. Prayers with Matt’s co pilot, also lost, Travis Brannon. The Marine Corps Air Station Yuma released a written statement announcing that Maj. Matthew Wiegand, 34, of Ambler, Pennsylvania and Capt. Travis Brannon, 30, of Nashville, Tennessee perished after their AH-1Z Viper helicopter crashed near the air station’s training grounds around 8:45 p.m. on March 30, 2019. Major Wiegand had been awarded the Navy and Marine Cops Achievement Medal with a gold star. Captain Brannon had received a Global War on Terrorism Service Medal and Sea Service Deployment Ribbon, according to a statement from the Marines Air Corps Station Yuma. Burial will be at Arlington National Cemetery, Washington, DC, at 11100 on August 15, 2019. You are invited to participate in our second annual USNA Quantico Area Chapter Run to Honor Remembrance Run. 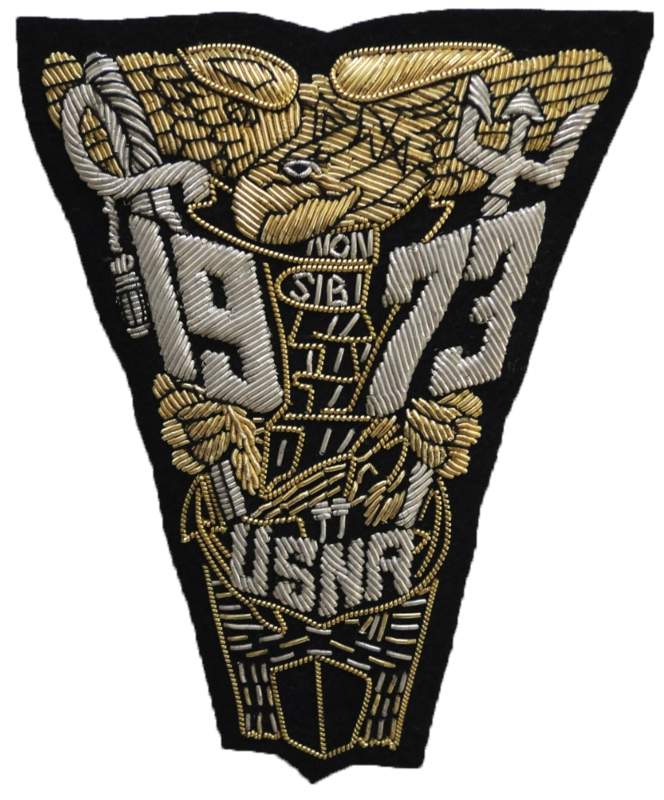 The purpose of our event is to honor a fallen Naval Academy shipmate, Lieutenant James Surch, Jr, USN, USNA Class of 1977, who was killed on 23 October 1983 in Beirut. This 5K event will be held on 27 May 2019 from 0630-0900 at the National Museum of the Marine Corps and is open to runners and walkers alike. Race entry is $35 and includes a commemorative T-shirt and light refreshments. Proceeds from our event will fund one scholarship seat at the Naval Academy STEM Camp and sponsor one high school student aspiring to become a midshipman to attend the Naval Academy Summer Seminar. Virtual Option Available! Can’t join us in person? Then join our virtual team #RTHJamesSurch. Simply order a commemorative T-shirt for yourself and your friends and take a picture of your run/walk wherever you are on Memorial Day. Email your picture to usnaqac@gmail.com and/or post it to the Run To Honor Facebook page https://www.facebook.com/runtohonor/. Proceeds from T-shirt sales also go to support our scholarship fundraising efforts so please consider being a part of our virtual team. Event registration and T-shirt orders can be made at https://www.eventbrite.com/e/qac-run-to-honor-remembrance-run-tickets-54647279484. Thanks for helping us Run to Honor! 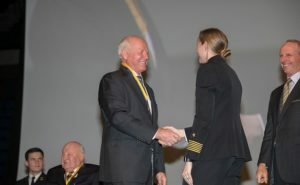 CONGRATULATIONS TO DISTINGUISHED GRADUATE BOB WILLARD! 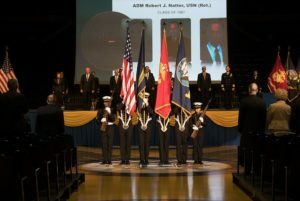 Our Classmate, ADM Robert F. Willard, USN (Ret) received the U.S. 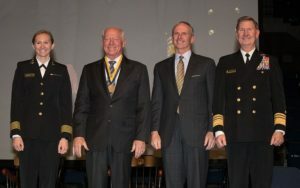 Naval Academy Alumni Association’s Distinguished Graduate Award on March 22, 2019. 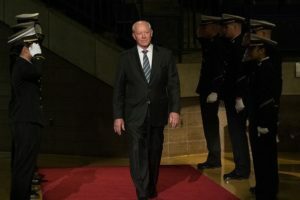 He was one of five 2019 recipients. 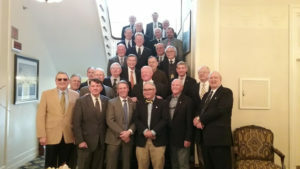 The following photos were taken at a reception that the Class held for Bob in the Naval Academy Club prior to the award ceremony. MARCH 21, 2019 – CLASSMATES – PLEASE GO TO THE ANOTHER LINK IN THE CHAIN (ALITC) PAGE OF THIS WEBSITE FOR A VERY IMPORTANT UPDATE ON CLASS ACTIVITIES AS WE PRAPRE FOR INDUCTION DAY ACTIVITES ON JUNE 27, 2019. DEATH OF JAMES MASTERSON – March 19, 2019 – James John Masterson, age 67, of Boca Raton, Florida passed away Thursday, March 7, 2019. See the Last Call – Memoriams page for further details. Please go to the Agent Orange Information page of this website for further information. JANUARY 7, 2019 – ATTENTION CLASSMATES! 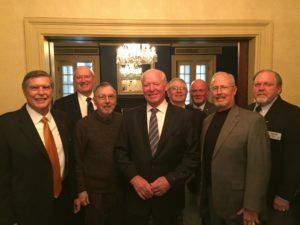 PLEASE GO THE ANOTHER LINK IN THE CHAIN (ALITC) PAGE OF THIS WEBSITE FOR A VERY IMPORTANT UPDATE ON THIS PROGRAM FROM OUR CLASSMATE JOE STEWART! Bob Adams recently sent in the following. Tom Feeks (11th Co) will be supporting this effort in honor of his Navy SEAL son Patrick Feeks who was KIA in Afghanistan. We are raising money in his honor for the Navy SEAL Foundation. The link below is to the 5th Annual Tampa Bay Frogman swim donation page. (you may need to copy and paste it into your browser). If you are interested in donating to a good class related cause this season….. This will take you to my donation page. Choose an amount and then pick the Navy SEAL Foundation Tampa Bay swim option from the drop-down box. Wish us luck! We will try to make you all proud. Gotta go train now. The Alumni Association Nomination Package Guidelines and the Class of 1973 Supplemental Guidelines are provided in the following links. Two of our classmates have already received this award. Maybe we can go for three!!! As the results of the concerted efforts of many 73’ers, numerous classmates have been helped to successfully file VA health care claims related to exposure to Agent Orange. If you are not familiar with our Class’ Agent Orange Initiative, go to the Agent Orange Information page of this website. This page contains a very comprehensive compendium of useful information. The following information on VA Life Insurance Benefits was forwarded by Leif Hendrickson. Some of us may benefit from these VA programs. You are receiving this email as part of an outreach effort to familiarize Veterans with VA Life Insurance benefits. As a service-connected, disabled Veteran, you may find it difficult to obtain coverage through a private commercial life insurance company due to your health, or you may have to pay a high premium if you are able to get coverage. You have a limited time to apply for these benefits, so you should apply now before your eligibility expires. S-DVI is a $10,000 life insurance policy for Veterans who have received a rating for a new VA service-connected disability within the last two years. If you meet the eligibility criteria, you can be approved for this coverage regardless of your service-connected conditions. If you are unable to work due to your service-connected conditions, you may be eligible to obtain this insurance coverage without having to pay premiums, and you may also be eligible to apply for up to an additional $30,000 of coverage. To obtain more information about S-DVI go to: https://www.benefits.va.gov/insurance/s-dvi.asp. To apply for S-DVI go to:https://www.insurance.va.gov/Sdvi/AreYouEligible/5eca7768-18a3-4fab-9ffc-40ac0da22d1b. Our records show that you received your new rating over 18 months ago, so your eligibility to apply for this coverage will expire soon. In addition to VA Insurance, you may also be eligible for other VA benefits due to your service-connected disabilities. You can view a summary of your VA benefits at http://www.benefits.va.gov/BENEFITS/benefits-summary/SummaryofVABenefitsFlyer.pdf. For more information on these benefits go to www.va.gov. For more information on VA Life Insurance benefits, go to http://www.benefits.va.gov/insurance.